I’ve made this veggie mac and cheese twice now and it’s officially on my top ten list of my all time favorite dishes. 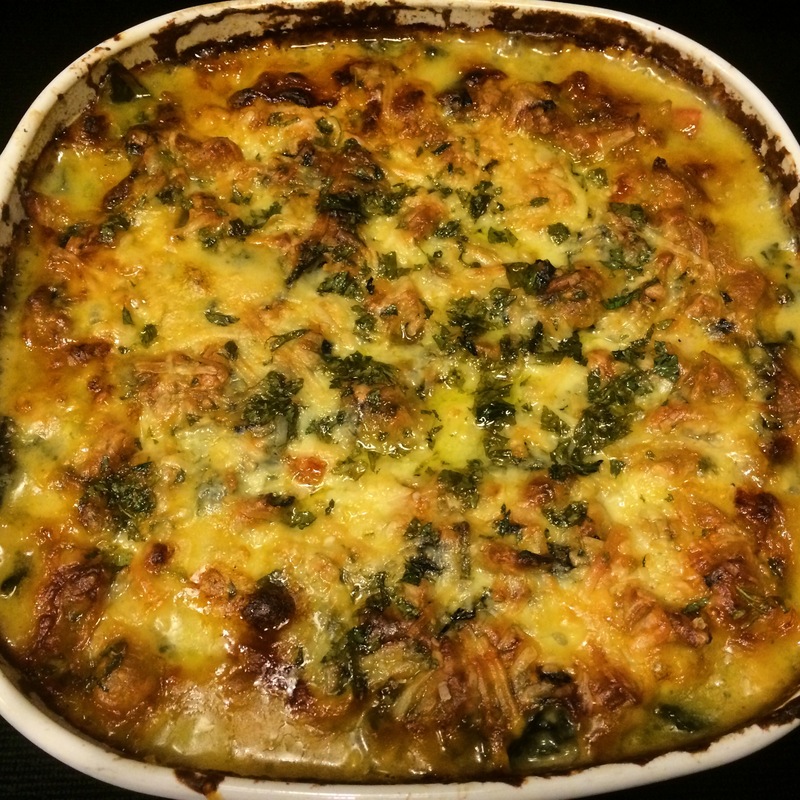 The first time I created it for Easter dinner at my Mom’s house because we have some vegetarians in the family and I think it’s nice to have a real main dish for them. The second time I made it for my friends who are training for a marathon and needed a carb loading session. I know I’ll make it many times in the future for whatever reason because it’s just that good. 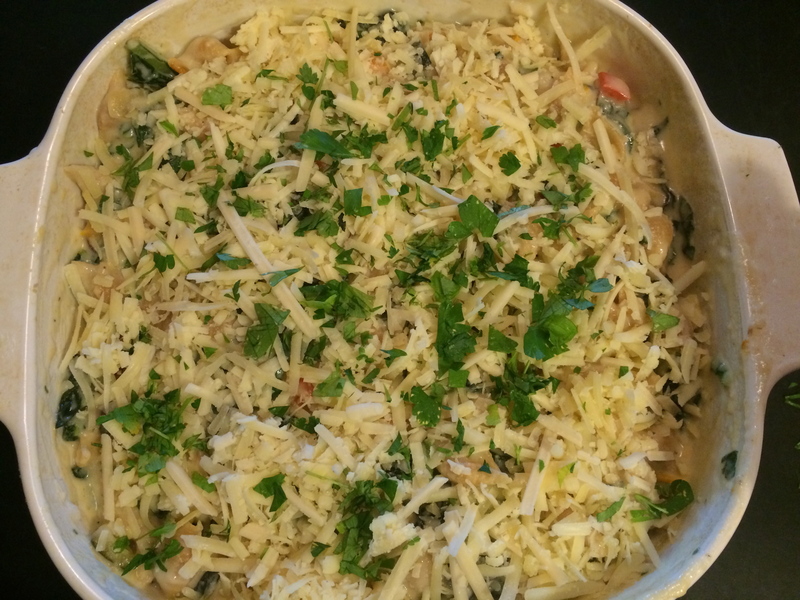 It’s chock full of delicious and nutritious veggies such as zucchini, peppers, kale, spinach and arugula but it also has a decadent side in the cheesy bechamel sauce made with four different kinds of sharp cheeses. I use 2% milk to balance out the fat in the roux and the cheese, and whole grain mini shell pasta to add depth and nutrition. All in all though this is the ultimate comfort food for not just for vegetarians but for anyone who loves a hearty dish of mac and cheese. First I prepped all the veggies and roasted them in batches. 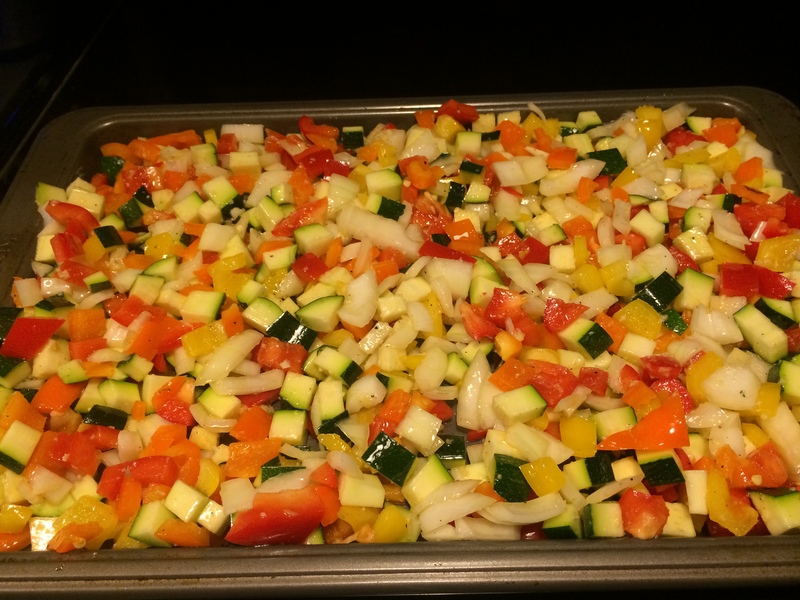 I roasted a combination of red, yellow and orange peppers, onions, zucchini and garlic in the oven. Then I added a mix of greens to roast in the oven. 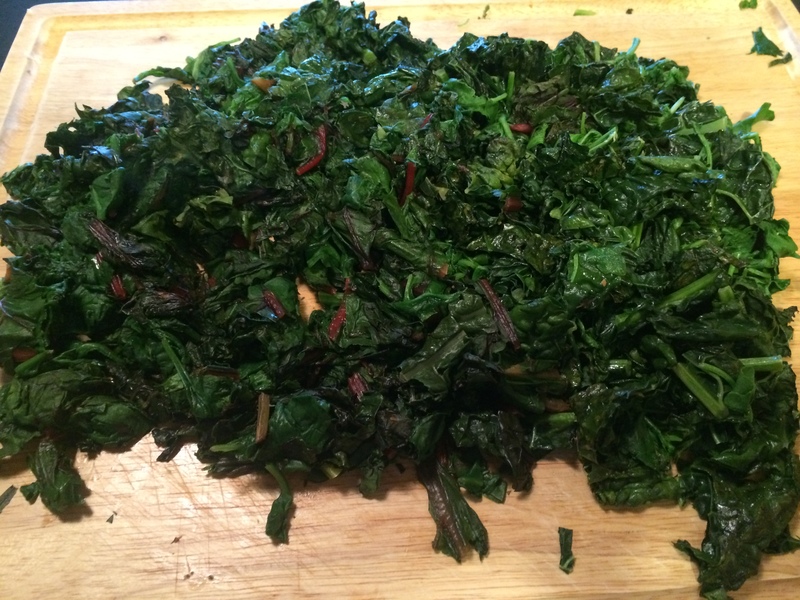 You can use any combination you like but I roasted swiss chard, kale, spinach and arugula. 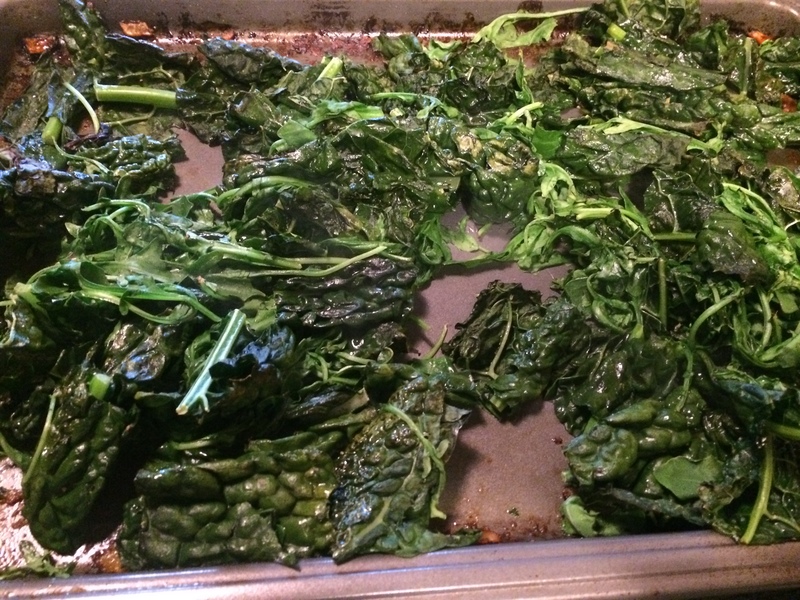 After the veggies were roasted I chopped the greens on a cutting board and tasted their seasoning. 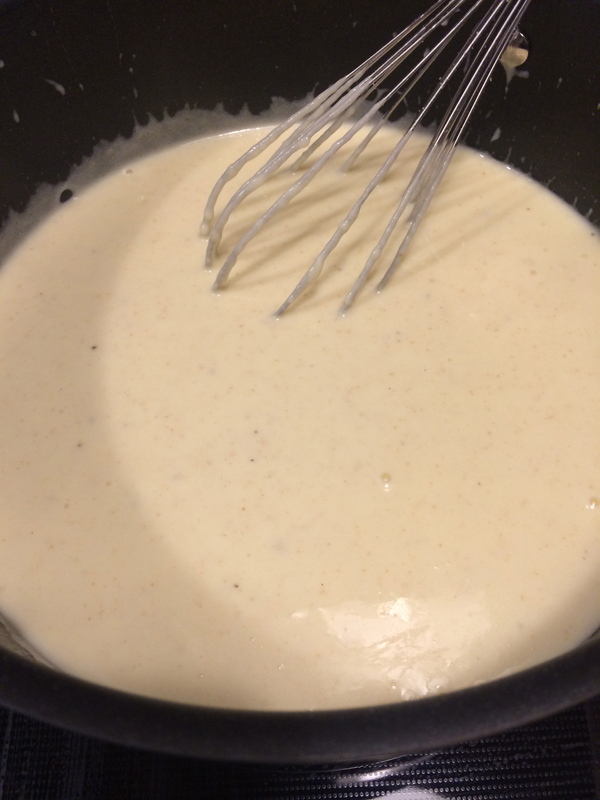 Next I made the cheesy bechamel sauce. 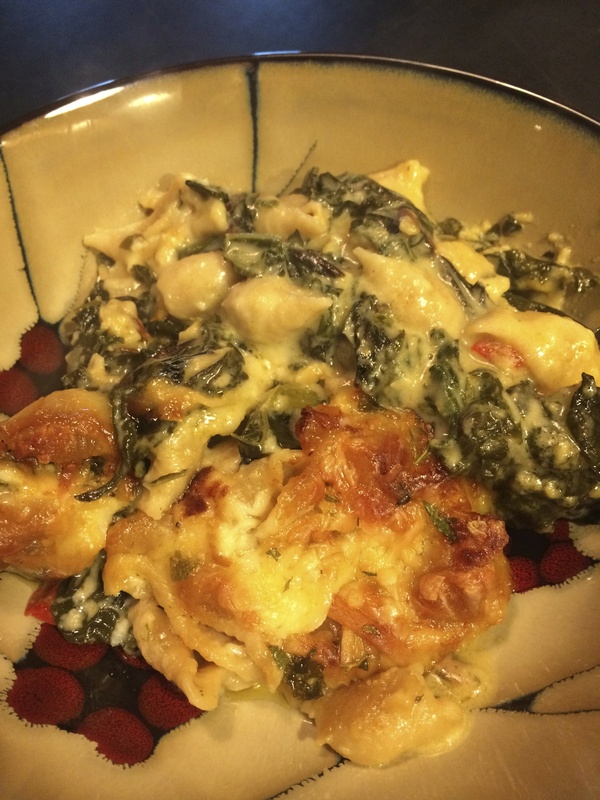 Then I added the veggies, cooked shells, and cheese sauce into the casserole dish. I topped with extra shredded cheese and cooked at 350 degrees for about an hour, until bubbly and browned on top. Preheat the oven to 450 degrees. Chop the peppers, zucchini and onions into small bite sized pieces and mix together in a bowl with half the garlic, a tablespoon of olive oil and salt and pepper. Roast on a cooking tray until softened and slightly browned, approximately 20-30 minutes. Remove from the oven and put into an oiled casserole pan. Put 1/3 of the greens on the pan and dry roast in the oven until slightly browned and wilted. Remove the greens to a large cutting board and repeat until all the greens are cooked. Chop them on the board adding a bit of salt and pepper. Add the greens to the veggies in the casserole pan. 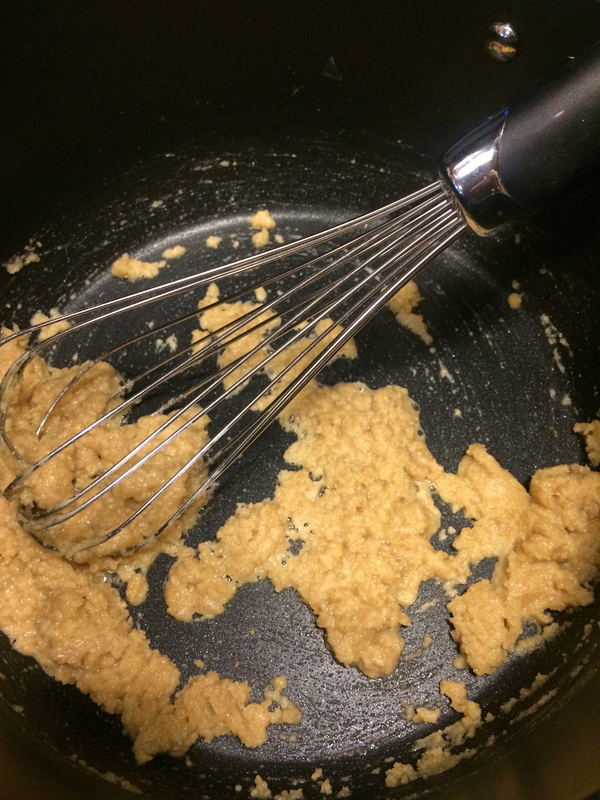 Next slowly whisk in the milk and keep whisking at medium high heat until it begins to thicken. Add the rest of the garlic and the nutmeg, plus a teaspoon of salt and pepper each. Bring to a simmer. Slowly add in all but one cup of the cheeses and let simmer at low heat, whisking frequently for about ten minutes or so. While making the sauce cook the box of pasta according to directions. Drain the pasta well, shaking it in the colander several times to remove as much water as possible. Next add the pasta to the veggies and then pour in 2/3 of the sauce, stirring well. The veggies and pasta should be well coated plus somewhat soupy as the pasta will absorb more sauce in cooking and afterwards. If it’s too dry add the rest of the sauce. Sprinkle the rest of the cheese on top and bake for about an hour. It’s done when it’s bubbling and there is a cheesy brown crust that you can’t wait to break into. This pasta dish is one for which I break all my rules. It’s the very definition of a savoury life because living life to the fullest means indulging yourself at times without feeling guilty, especially when you’re eating super clean most of the time. Yes this has a lot of cheese, and it has butter and it has pasta. But it’s balanced by 2% milk instead of half and half, studded with incredible vegetables (hopefully organic!) and rich in fiber with the whole grain pasta. It’s healthy, its versatile, it’s decadent and it’s slow cooking food at its finest. This looks yummy! May have to try it!